Authentic Spain is a diverse experience:Mediterranean & Atlantic, timeless tradition & modern luxury, carpe diem & patience of a winemaker, fine wine & gourmet olive oils, medieval villages & urban splendor, tapas & towers, passionate & stoic, mountains & islands, Roman Merida & Moorish Alahambra, surfing & flamenco, Picasso & paella, cathedrals & castles. Seville & Barcelona, bullet trains & horses, San Sebastian & Madrid, Toledo, Segovia +……. Swashbuckling Spain offers a myriad of known and unknown diverse experiences. From monks chanting in medieval monasteries, to amazing modern wine estates, Exotic Moorish palaces, sultry Flamenco dancers to dangerous bullfights, rustic tapas taverns to Armani or Prada boutiques, the Kingdom of Spain is one-of–a–kind place that does certain things very well. Historic fortresses stand guard in the center of whitewashed hill towns, celebrity architectural wonders abound, 95 point Spanish wines stand next to traditional family-made cave wines. As nearly the largest country of western Europe, Spain has many unknown aspects: traditional bagpipes & Celtic zones in the north, 100+ cheeses, high altitude old vine wineries, 4 official languages (English is not one). The landscape invites with similar diverse beauty. Spain is crisscrossed by imposing mountain ranges like the Sierra Morena, Picos de Europa, Sierra Nevada and the Pyrenees all of which made for more diversity among the regions. As Iberian Peninsula is 75% surrounded by water, there are still some naturally beautiful beaches remaining despite the over-development in certain mass market tourist areas. In the green Ireland-like northwest region of Spain, Galicia the rias (evergreen estuaries) could hardly be more different from the high arid plains of Castile, or Europe´s only deserts in the southeast region of Almería. With a land area is about half a million square kilometers – Spain is about twice the size of the UK. Of its 46 million-strong population around 70% are Catholic, at least culturally, though religious observance, like in Italy, is patchy. Politically, the monarchy and democracy were restored in 1977, with a new constitution after the death of Generalismo Franco, who won the Spanish Civil War in 1939 against a leftist coalition who were aided by Stalin. The main Spanish language Castellano is spoken as a first language by 74 percent of the population, while some 17 percent speak variants of Catalan, 6 percent Galician and 2 percent Basque. Kingdom of Spain is one-of–a–kind place that does certain things very well. Historic fortresses stand guard in the center of whitewashed hill towns, celebrity architectural wonders abound, 95 point Spanish wines stand next to traditional family-made cave wines. As nearly the largest country of western Europe, Spain has many unknown aspects: traditional bagpipes & Celtic zones in the north, 100+ cheeses, high altitude old vine wineries, 4 official languages (English is not one). The landscape invites with similar diverse beauty. Spain is crisscrossed by imposing mountain ranges like the Sierra Morena, Picos de Europa, Sierra Nevada and the Pyrenees all of which made for more diversity among the regions. As Iberian Peninsula is 75% surrounded by water, there are still some naturally beautiful beaches remaining despite the over-development in certain mass market tourist areas. This also stimulated the Seville economy quite a bit in the 16th and 17th centuries. Nowadays the richest thing in Seville, other than the high level regional government officials and politicos is the incredible Alcazar Moorish Fortress/Palace, the worlds largest Gothic Cathedral, the Casa Pilatos mansion, the river walk, the Plaza de España just to name a few. On the Seville food and wine scene, this is arguably the traditional tapas bar capital of Spain and the wine selection is a bit limited although with our private tastings we can access almost anything one made in Iberia. Of course we have the inside scoop on the wine bars and the best restaurants for foodies. History buffs can enjoy a museum full of Roman & Moorish artifacts. About 450 years ago, Madrid became Spain’s “new” capital thanks to King Felipe II…. He who wanted space to construct his legacy via new monuments while spending Spain’s colonial riches. He wanted to create a symbol of the unification of Spain….and a capital from which he could receive the fastest post and communication from every corner of the nation. So in 1561, the village of Madrid with its ideal geographical position at the heart of Iberia, became the capital of the Kingdom of Spain. Madrid is 300km from the sea on a 650m-high plateau, cold in winter, hot in summer. Only the desire of future kings to promote a strong central capital that ensured Madrid prospered into one of Europe’s most lively, fun and artistic capitals. BTW King Felipe borrowed a lot of money to build Madrid and live high on the hog and caused Spain to default a few times. In 2014 your journey in from the ultra-modern Madrid airport is rather ho-hum urban at first… but the old town streets at the heart of the city are a pleasant surprise and where the action is. Enjoy medieval buildings and narrow, atmospheric alleys, dotted with the oddest of shops and bars, and interspersed with 17th century Bourbon squares. Compared with the historic cities of Spain: Toledo, Segovia, Seville, andGranada, there are only a few big sights of great architectural interest. BUT Spanish kings did acquire outstanding art collections. This formed the basis of the Prado museum. Together with the Reina Sofía and the Thyssen-Bornemisza museums, state-of-the-art homes to fabulous arrays of modern Spanish painting (including Picasso’s Guernica) and European and American masters, has made Madrid a top port-of-call on the European art tour. Aside from these heavyweight cultural attractions, there is a host of smaller museums and palaces which can be almost as rewarding. Sports fans will inevitably be drawn to the Santiago Bernabéu, home to one of the most glamorous and successful clubs in world football, Real Madrid. A wide rang of parks and gardens offer a welcome respite from the hustle and bustle of the city centre. However, monuments and sights are not really what is MOST unique about Madrid. Rather it’s the intense lifestyle of the inhabitants who work & play hard…. Yes the confident yet down-to-earth Madrileños are a key Madrid attraction. You feel the buzz on pretty old town plazas, in traditional cafés or summer terrazas, packing the lanes of the Sunday Rastro flea market or playing hard and very late in a thousand bars, clubs, discos and tascas. Whatever Barcelona or San Sebastián might claim about their own superiority, the friendly, energetic vibe of Madrid , immortalized in the movies of Pedro Almodóvar, remains the mostlevely t and fun in the country. The city centre is also FINALLY in better shape after many years of urban rehabilitation programmes as part of the Madrid Olympic campaign. Pedestrianzing the old town around the Puerta del Sol area has made it much more pleasant for strolling from cafe to cafe and plaza to plaza or museum to musuem. The River Manzanares area, after an ambitious regeneration scheme, has turned the river into a focal point for leisure and recreation. Improvements have been made to the transport network, with extensions to the metro, the construction of new ring roads, and the excavation of a series of road tunnels designed to bring relief to Madrid’s congested streets. Arguably the two most important monuments & sights of Madrid…. The old town of Madrid, Plaza Mayor, Puerta del Sol, the Royal Palace, the Prado Museum, Reina Sofia art museum and the Retiro Park are unique places to enjoy your time in Madrid. But be sure to take time to relax al fresco, over a coffee, tea or vino on one of the many terrace bars on the historic plazas around Madrid. Although written centuries ago, this saying still holds true especially when admiring one of the many iconic views of the Moors last stronghold in the Spain, the Alhambra citadel. 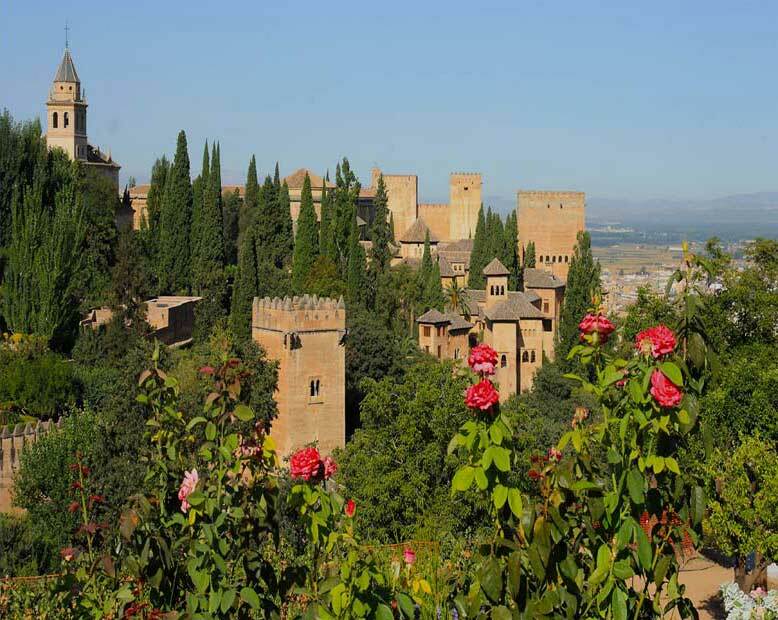 The palaces, fortress and gardens of the Alhambra is Moorish architecture and decoration at its peak. The hilltop setting is extraordinary, between two small rivers and with the snow-capped Sierra Nevada mountains just above. Of course down below in the Granada old town their are a number of reasons to stay another day. Apart from the regional food and wines, the 16th century Renaissance Cathedral holds the tombs of the King Fernando and Queen Isabel who created Spain as a nation and in 1492 sent Columbus to sail the ocean blue. The Albazin district offers a maze-like path uphill for some of the best views around and includes homes built from natural caves as well as plush villas. Lastly a blind man today could at least be guided from Moorish artisan shops to spice markets to tapas & wine bars to Moroccan pastry & tea house for dessert before a life Arabian or Flamenco dance show. The legendary discovery of grave of Saint James converted this city into one of Europe•s main pilgrimages destinations during the medieval ages. This is the origin of one of Europe’s great Cathedrals which is surrounded by a very pretty and largely pedestrian stone old town chock full of tiny plazas, cafes, bars and restaurants. Just an hour from the Atlantic in northwest Spain•s green Galicia region, Santiago has a excellent seafood that goes very well with the Albarino white wines. Be sure to try the pulpo which is tender roasted octopus served with potatoes and smoky paprika. Nearby one can admire the Roman walled city of Lugo or the medieval Pontevedra. After the conquest from the Moors, Caceres became a powerful center of commerce between Madrid and Portugal. Many of the New World Conquistadores came from this area which brought more wealth here. The Caceres old town, listed by the UNESCO World Heritage list, has been called the Siena of Spain. Inside the high defensive walls and built of honey colored stone is a evocative collection of elaborate mansions, palaces, churches and of course wine and tapas bars waiting to be enjoyed. A number of historic movies have been set here including one about Columbus. Among the many highpoints are the Casa de los Toledo Moctezuma, an outstanding palace where the daughter of the Aztec emperor lived with her powerful Spanish husband. A small but enchantingly stylish foodie, beach and surfing paradise on the on the Atlantic coast. Some say that festive meals is the only common interest that unites Spain. 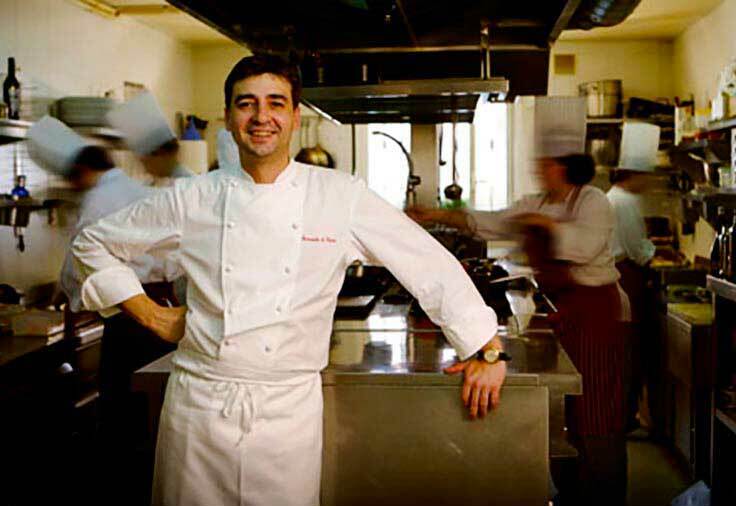 In San Sebastian the value of gastronomy is so high that instead of country clubs, men typically are members of private gastronomic societies where they cook for each other. San Sebastian also enjoys the proximity to some of the finest Spanish wine regions. There is also good walking along the coast and beach boardwalk, ocean sailing, and a fine film festival. On the Mediterranean coast, this historic city with roots that predate the Roman empire is now known for modern works by celebrity architecture. Like Barcelona, Valencia offers an ambiance of Mediterranean heritage and cosmopolitan design. Like Madrid, Valencia has much improved the urban planning without losing the very Spanish sense of carpe diem and festive friendly culture that the more serious Barcelona sometime seems to lack. An example of this are the dozens of new hip tapas and wine bars and cafes in the center as well as the iconic Cuidad de Las Artes y Ciencias, Europe’s largest cultural complex. Also be sure to enjoy the Barrio del Carmen, the National Ceramic Museum, the Cathedral, La Lonja, the Central Market and the Med beaches. The famous festival of Las Fallas happens in mid March each year. Historically this was a key city for the Moorish empire in Spain. If you saw the movie El Cid with Charleston Heston you can see how this Spanish medieval hero won the battle. There is also •ne beaches and a modern port full of yachts and premium sail boats Also do not miss La Cuidadde Sciencias in the masterpiece of modern architecture. Originally a important river port for the Romans and named after Roman emperor Caesar Agustas which over the centuries has been transfigured into Zaragoza. Zaragoza is now back on top after years of major urban projects were completed. The pedestrian old town is very pretty, clean and offers a nice mix of local color, cute plazas with al fresco cafes, shopping and a famous collection of tapas and wine bars. The immense Basilica El Pilar is called the Vatican of Spain by some and is very near a number of Roman ruins. While there are tourist year round it is not overrun like Barcelona or Rome. This adds to the authentic allure of this regional capital. Zaragoza is in an ideal location near numerous wine regions (as are all former Roman cities) and midway between Madrid, Barcelona, Bilbao, and Valencia. OFF THE BEATEN PATH: There are dozens of very attractive smaller cities and towns also that offer a slower Old World pace like Zafra, Ronda, Oviedo, Lugo, Cordoba, Trujillo, Cuenca, Merida, Salamanca, Tarragona and Valladolid. One great benefit is freedom from hoards of cruise tourist that fill Barcelona. a gem of a medieval hill town crowned by a huge fortress built by the Moors. In western Spain’s very authentic Extremadura region, this is one of Spain’s prettiest small towns. embellished as many of Spain’s colonial conquistadores came from this area and returned to build fine stone palacios that can be admired around the old town. The medieval fortress still sits at the top of town and a cheese festival is held each year as this region, Extremadura, is one of the top cheese producing areas of Europe. The famous madona of the conquistadores, La Virgin de Guadalupe is in this area also. The defensive strength led this to be one of places that the Spanish crown stored their treasure. But what is at least equally evocative are the magnificent stone mansions that checker the old town. These remind the locals that a number of very successful favorite sons like Pizarro who conquered Peru and Orellana who discovered and navigated the Amazon. Both served Spain during the wealthy colonial period and later returned home and built these showpieces to show their new status. A postcard perfect old town, castle hotels and foodie fun! With a name that harkens back to the Moorish times, Zafra is a beautiful old town with arcaded 16th century plazas and a delicious collection of colorful tapas taverns. It is crowned by a postcard-perfect medieval castle once owned by the feudal lords of this area, the Duke of Feria and that now is a luxury Parador hotel. This regions is the heartland of the famous Ibericocharcuterie. The mountain cured Iberico ham is thought by many chefs and foodies to be the best in the world due to the very rich flavor. Due to the richness 100grams is often enough as a nice appetizer for 2 to 3 persons. Nearby Zafra are a number of vineyards and charming castled villages, once controlled by the Templar Knights like Fregenal de la Sierra or Jerez de los Caballeros. We can also arrange a private paella or BBQ cooking demo and meal in a country estate in the area. Site of one of the world’s most famous festivals. Sitting high above the Arga river, legend has it was named after Roman general Pompey after he conquered the area from the fierce native Celtic Iberian tribes. The main town of the Spanish Pyrenees, it was briefly conquered by the Moors and the French but always found a way to expel the invaders despite being near a major Pyrenees mountain pass that kept the risk of attack high. From this period there is a interesting gothic cathedral and a huge citadel. What made this small city of some 200,000 world famous though was Hemingway•s Spanish novel, Death in the Afternoon. This created the buzz about the now wildly famous Fiestas de San Fermines better know outside Spain as “the running of the bulls”. Starting on the 6th of July each year, t he 9 days of wild wine soaked festivities start before 8am as the bulls are brought to the edge of the old town where thousands of people await, some to risk goring and run and most to watch safely behind barricades. Then the six bulls weighing about half a ton each, are set free to “run” through blocked streets to the Plaza de Toros. A select few visitors can watch the Pamplona bull run in total safety and comfort from our private balconies in the old town. Later that day in Pamplona after the late Spanish lunchtime, the bullfights, are held each day during the San Fermines festival. In between, expect lots of noise with general party ambiance, much drinking, meals with family and friends, parading social clubs often with live brass bands, street performers, fireworks, singing and general good-natured debauchery. Finally on July 14 at midnight the mayor of Pamplona ends the fiesta for another year. This might be enough time for the livers and kidneys of all to recover or at least check into a spa for some detox, of which there are many in Spain. Imagine a smallish walled medieval hill town that sits like a ship on a hilltop overlooking some of Europe’s most expensive vineyards. Laguardia which means the guard in Spanish, is a fortress that became a town and sits over hundreds of mysterious tunnels. This is now one of the top towns of the Rioja wine region and well worth a visit. There is an especially interesting stone-carved portico in the main church of Laguardia. Girona, due to it’s strategic position has been attacked by armies from at least 5 countries. That’s why it’s known as the city of a thousand sieges. The medieval walls still stand and where part of the epic resistance of 7months against Napoleons superior army. Girona also is famous as a center of medieval Jewish education due to it•s prestigious Cabalistic school. The old Jewish quarter, the Cathedral, the Arab baths, a monastery and the •ne arts museum are popular attractions. In addition one can find fantastic food including one of our favorite restaurants in Europe that is in the vicinity. Imagine an almost perfect view of sunsets that is also a almost inexpugnable natural fortress with vineyards nearby to quench the thirst during sieges. Then imagine a place so historic that Paleolithic human remains have been found. Lastly imagine a 400+ foot gorge that splits the old town and has led to 3 bridges being built. The oldest bridge according to some local guides dates back to the Roman occupation. Ronda also is home to the world’s oldest stone bullring and was a favorite of Hemingway and big Orson Wells who some say left quite a restaurant bill behind when he died.His remains are nearby at the private ranch of a famous dynasty of toreros. Ronda has a few high quality vineyards and olive oil mills in the area. If Hollywood had only known, the Fred Flintsone movie might have been filmed here. That’s because this medieval village of Guadix has hundreds of historic cave houses. The ecologist love them as they maintain a constant temperature all year round without much heating or cooling. This is all protected by a small but picturesque Moorish castle which guards a small baroque cathedral and old town. There is also excellent pottery workshops in this ancient town as well as the sophisticated Renaissance styled Castle of Calahorra. The capital of the proud mountainous green forested Asturia region. Dating back to the 9th century and is ‘the place’ to drink very fresh hard cider. Very dear to Spanish heritage, Oviedo is one of the few parts of Iberia that was not conquered by the invading Moorish armies who first arrived in the year 711 to Andalucia. Oviedo boast a flamboyant Gothic cathedral with a near 300 foot tall tower. It was the site of heavy fighting in 1937 before Generalisimo Franco’s troops won. It is has a very modern city around the well preserved historic old town. The crown prince of Spain has a major awards ceremony each year. The top local drink from this apple growing region is fresh cider. In NW Spain’s seafood rich Galicia region, Lugo was a provincial Roman capital and still has the Roman walls to prove it. A walk along the walls offers a great vista of the city as well as the 12 century cathedral and numerous plazas where one can enjoy fantastic seafood and cheeses. In southern Spain, for some 1000 years the river city of Cordoba was one of Europe’s most important cities as capital for the Roman Spain and Moorish Spain. The Mezquita is actually a Cathedral built inside one of the greatest mosque ever built, a highpoint for the Moors reached around the 11century. The old town and flowered patios, Alcazaba castle and garden and Roman bridge are all reasons to visit Cordoba. The crisp dry white Montilla wines often found here are vinos generosos and pack a punch but blend well with local cheeses. Cuenca sits on a spectacular medieval setting clinging to a rock platform above deep ravines and is listed on the UNESCO world patrimony list. This site was chosen by the military-minded Moors who held it for nearly 4 centuries. 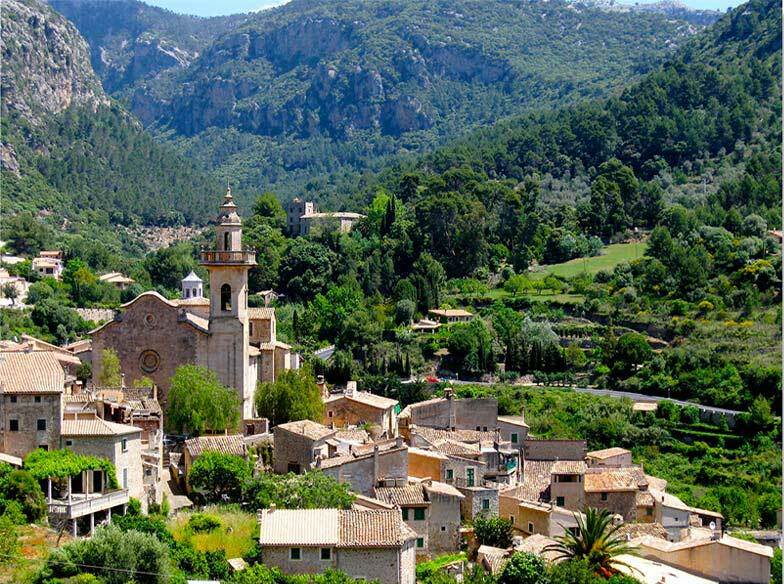 It is a very well preserved fortified medieval town with Spain’s first Gothic cathedral. The Holy weeks processions here are very dramatic in the steep streets of this small town. The Casas Colgadas (hanging houses) and Museo de art Abstracta Español (Museum of Spanish Abstract Art) and a meal with a view over the ravines are often very memorable. Founded in 25 BC by the Roman emperor Augusta at the end of his Hispania (Iberian) campaign. This UNESCO listed city was a way of solidifying control of western Hispania and taking care of and rewarding his wounded and retiring soldiers. Merida also benefited from the fact that three Roman emperors were from Spain: Hadrian, Trajan and Diocletian. As politics is often local, this led to perhaps more funds for the public works projects here. Merida, now capital of western Spain’s Extremadura region, includes well preserved remains of the old city including a fine theater, amphitheater, vast circus maximus, excellent aqueducts and other elements an exceptional Roman water-supply system. One can even walk across perhaps the longest bridge ever built by the Romans, In Iberia, The Romans had three primary capitols in Iberia which they called Hispania. Tarragona, Cordoba and in the west, Merida. Merida sits between two rivers and between Toledo and Lisbon as well as between Seville and Salamanca. So from Merida they controlled the Lusitania province: what is now Portugal and western Spain. It was known for having among the best chariot racers in the Roman empire. Today Merida also boast a fine theater festival each years in the Roman theater and world class Roman museum built by Spanish architect Rafael Moneo. There is also a Moorish Alcazaba fortress and fine cheeses and charcuteria of Extremadura. Known for the fantastic stonework such as the UNESCO listed Plaza Mayor (main square) and two cathedrals, Salamanca should not be missed for those who love architecture. It also boast one of the oldest universities of Europe that some call the Oxford of Spain. The energy and spirit of this city is hard to beat. There are also fine historic convents to visit in Salamanca like the Convento de la Duenas. a rich Mediterranean town, this was a Roman provincial capitol and boast well preserved ruins from this time. It was the first Roman settlement in northern Spain and was an important mercantile city and also center of the Imperial cult for Hispania. The old town is well maintained with many medieval and Roman items to stumble over. Be sure to visit the old Circus Maximus and the Roman amphitheater which sits next to the beach. All together Tarragona, like Merida, can leave one with a sense of the grandeur of the Roman provincial capitals. One of the former capitols of Spain and Castilla boast a wealth of decorated buildings, sculptures and other fine art. Valladolid became powerful from the 12th century and many Spanish monarches were born or married there. The Museo Nacional de Escultura Policromada (National Museum of Polychrome Sculpture) is very highly rated as this city was one of Europe’s major centers of fine sculptures in the 16th and 17th centuries. There are also numerous impressive churches, monasteries and of course a cathedral. Nearby are three of Spain’s top international wine regions, Ribera del Duero, Toro and Rueda. “100% Pure Spain” or “Spain as it used to be” both could be good slogans for marketing this somewhat off the radar region. Once overlooked by the travel press and by many visitors, Extremadura is beginning to be on the tourist trail – and deservedly so. After being a thriving Roman province, this beautiful landlocked area was held by the Moors for some four centuries. It then became relatively isolation once the Moors where pushed south by the Templar Knights and lack of population meant that things did not change greatly here over the last few centuries. Like the rest of central Spain there are hot summers and cold winters which leads to frequent sittings of small and some larger vineyards of international wine estate. This rugged environment was the cradle of the Spanish colonial explorers and military men, the conquistadores. It was these men who conquered a new world for the Spanish empire. It was upon there return that Extremadura had a brief golden age. This was fueled by the gold and status they brought back and led to incredible palacios. Trujillo the birthplace of Pizarro, and Caceres were built with conquistador wealth, the streets crowded with very ornate mansions of returning empire builders. Do not miss Merida the best preserved Roman city of Hipania, the sacred monastic sites of Guadalupe and Yuste, the handpicked site of the monarch Carlos V for his retirement in the 16th century. Extremadura is one of the top cheese producing areas of Europe. Straddling the French and Spanish border and very proud of a unique culture that pre-dates both, the Basque Country offers foodies and cultural travelers the best of the natural and the urban charms. One of the wealthiest regions of southern Europe, Euskal Herria as the Baques call it in their language is still quite unspoiled. Expect a green land of rolling hills, quiet and well kept inland, rugged and wild along the coast. The major resort and foodie pleasure palace is San Sebastian sitting on a beautiful horseshoe bay with fine beaches. Of course the food is magnificent as the Basque often seem to live to eat even more than the rest of France or Spain. An invitation to one of the private men’s clubs is something to remember forever but is not easy to come by. We have a limited number of favors to call on there. Along with San Sebastian, there is Bilbao and the famous Guggenhiem museum. Some find that the unique titanium museum overshadows the art inside if one does not like sculptures of Richard Serra. The true origin of the Basques is a bit muddled. The regional government has funded anthropological work that suggests they have lived the western Pyrenees for thousands of years. Their language which is called Euskara, is said to have been already spoken here when Indo-European languages such as Celtic and Latin began arrived. Some genetic evidence indicates they may be the last surviving representatives of the first modern human population of Europe, often known as the Cro-Magnon man. Basque cooking is based on traditional recipes and an abundant produce of the area. Of course there are the tapas known as pintxos which are fantastic. The their is the modern new Spanish cuisine that has deep roots here. So deep is the quality that the number of Michelin stars awarded in this small area is astounding. That leaves the world class traditional Basque cooking. This style is often apparently simple but not easy to do well. Expect very few lavish sauces or trendy fusion combinations, just very fresh ingredients, done just right to best extract the natural flavours. All of the cuisine can includes fine grass fed beef that some feel can sometime rivals the world’s best Kobe or Argentine beef. But it is the sea food that is king here. Yes the sea provides well for the Basque cuisine. The aroma of and freshest of sea hake baking with garlic or grilled sardines is found very often from restaurants in the fishing villages and coastal ports. Although some may think hake is nothing special you must try it here as many find it to be like another type of fish. Another example is the anchovies, that in the USA are often terrible low grade quality that seems to be salt encrusted shoe laces. In Spain and especially in the Basque many have discovered that the premium quality stuff provides a totally different sensation. Country. The foodie should not miss this but do bring good walking shoes so that you can keep your appetite up for hardy portions and reserved but good cheer for those who share this devotion. Some say Galicia is more connected to the Atlantic Ocean than the rest of Spain or Europe. Sitting at the green rainy northwest corner of the Iberian Peninsula, Galicia feels more like Ireland in many ways and is a great example of the unknown diversity of Spain. Forget guitars….Expect bagpipes in the Celtic land full of fine seafood and a newly famous wines such as the Gabardines and Rib eras. Without doubt Galician is far removed from the rest of Spain. Visitors can enjoy a rolling landscape of the high forested hills and fields, often still farmed by hand. Yes it easy to see why Galicia seems more like Ireland than southern Spain’s Andalucia or the warm Mediterranean coast of Valencia. The natives even speak their own language, Galego which is quite similar linguistically to Portuguese although this can be a touchy issue. Galicia shares her southern border with Portugal. 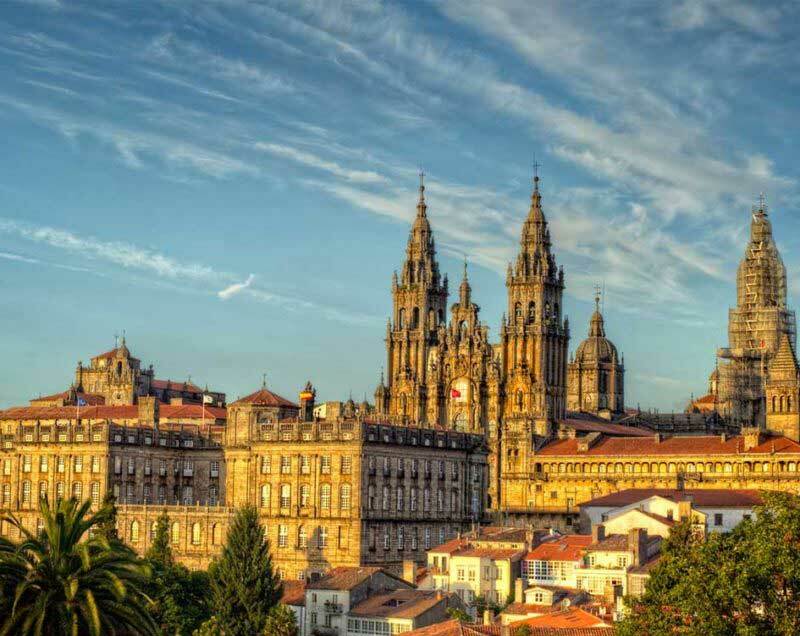 Leading places to visit in Galicia include Santiago de Compostela: Here pilgrims have been arriving over a thousand years. The Apostle Saint James is said to be buried hereunder a gigantic Cathedral. This city has a unique medieval labyrinth of ancient plazas, arcades and lanes and is very memorable for the history-minded and foodies. Pontaverdra, home of new Spanish president Mariano Rajoy is a lively historic city south of Santiago on the way to Portugal. For those who love the sea, there is the truly gorgeous Atlantic shoreline of Galicia for many with narrow estuaries known as rías. The rias also influence the unique flavors of the Ribera and Albariño wines mentioned above. Aragon in NE Spain was a very powerful Spanish medieval kingdom that included Catalunya, exerting influence over the Mediterranean as far away as Athens. It was the alliance between sealed by the marriage of King Ferdinand to Queen Isabel of Castilla that allowed the Spanish Christian kingdoms to finally focus on their common enemy which where the Islamic Moors who had conquered most of Iberia some 6 centuries before. Surrounded by mountains on all sides, Aragon had its own identity, including a written Aragonese language existing alongside Castilian. It includes Zaragoza, Teruel and Huesca. The Pyrenees mountains of Aragón, offer valleys, medieval stone villages and very pretty trail walking. Some valleys are getting noticeably developed, but they still have stunning archeological finds in the Parque Nacional de Ordesaand the Parque Natural de Posets Maladeta. There are many fine canyons, waterfalls and peaks. Aragón’s Pyrenean towns are also renowned for their sacred sites: the country’s oldest Romanesque cathedral is here in Jaca.In the south of Aragon is is Mudéjar architecture that is king. Mudejar is scenic churches, palacios, towers and other buildings built by Muslim workers often under Christian rule. Many of the Mudejar sites were added to UNESCO’s World Heritage list a decade ago. 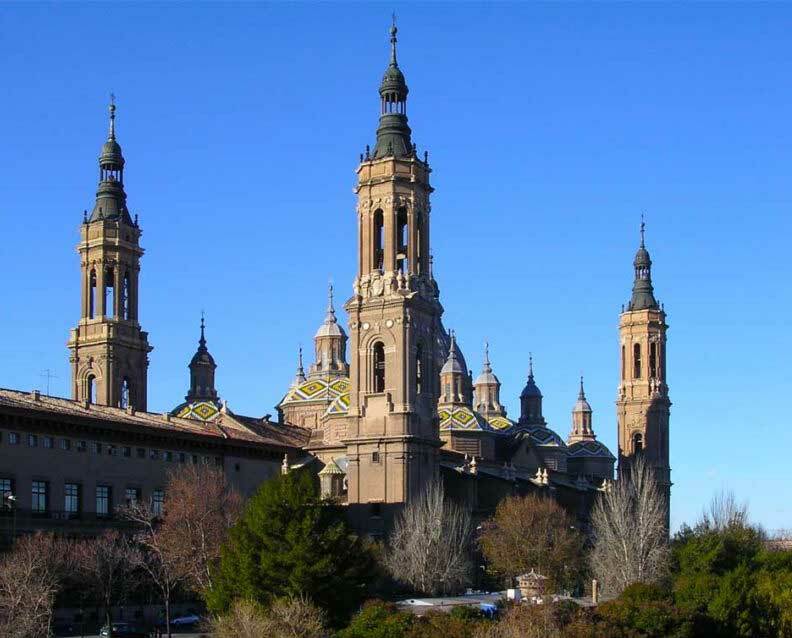 The capital and urban center of Aragon is Zaragoza which has fantastic tapas and wine bars, memorable Roman remains and the one-of-a-kind Aljafería Palace. As are most former Roman cities there are very good wine regions nearby including Calatayud, Campo de Borja, Cariñena and Somantano. Smaller towns with charm include Teruel, Tarazona and Albarracin. Andalucia is southern Spain and is perhaps offers the majority of the iconic popular image of Spain in full color HD: sultry flamenco dance,huge town fiestas (and long siestas), strutting toreros facing 1000 pound fighting bulls, and exotic Moorish style castles and palacios. Yes all of this derives from Andalucia although these experiences are not exclusive to the south of the Iberian peninsula. It was the fact that for near 800 years this region was a Moorish state that makes it one-of-a-kind. The Moors where Arabs and Berber soldiers who crossed into Spain from Morocco and North Africa, occupied 95% of Iberia by 750AD. They called this fertile land Al-Andalus and of course mixed with local Iberian women over time. Their last stronghold in Iberia, the kingdom of Granada, fell to the Christian Armies in1492. The discerning traveler can still enjoy parts of the most sophisticated civilization of the Middle Ages in Europe. Highlights include Seville’s old town and Alcazar, Granada’s Alhambra palace, possibly the most sensual medieval creation in all Europe. Cordoba can rival Istanbul’s Blue Mosque with the most beautiful Moorish mosque of Europe, la Mezquita. Much of the above are UNESCO landmarks. Smaller historic towns such as Ronda, Ubeda, Baeza, Osuna, Carmona and dozens of other pueblos blancos white hill towns offer diverse charms. Andalucia also include various mountain ranges – including the Sierra Nevada, Spain’s highest range and Sierra Morena. Fit travelers often enjoy trail walking in the lower slopes of the Alpujarras less than an hour from the Med coast. International Airports of Iberia with USA connections: Madrid, Lisbon,Barcelona and Malaga are the main arrival points for flights from the USA. Seville, Granada, Santiago, Caceres, San Sebastian, Valencia and Zaragoza are popular with European visitors.